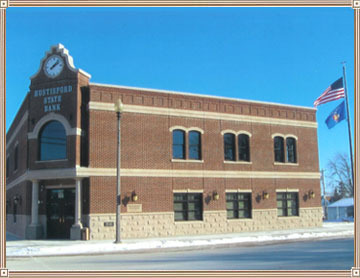 Hustisford State Bank has served the local community for over 110 years, having opened originally in 1902 with working capital of $25,000. Edgar W. Boeing, served as the first bank president. The original bank building, a two-story brick structure, built in 1901 at a cost of $5,700 burned to the ground on November 8, 1912, and was immediately replaced by a similar structure at the same location, 129 N. Lake St. 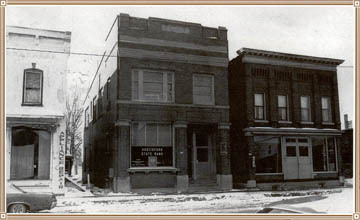 In 1971, banking operations were transferred to a new one-story facility at 201 S. Lake St. The building was renovated and expanded in 1984. In December of 2007, operations were again moved, this time to a new two-story facility located directly across the street from the previous location. 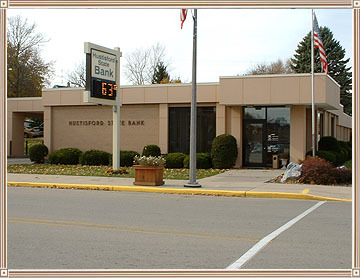 With the exception of a brief period from July 1932 to May 1933 during the Great Depression, the bank has provided uninterrupted service to the Hustisford Area. The current President Mark E. Larson, has been with the bank since 2001.